Scheduled for March 8th to 10th 2019, the weekend ahead of "Super Sebring"', The Amelia Island Concours d'Elegance is the perfect event to pass by if you're in Florida and to start off an extraordinary race week. The 2019 honoree and celebration of the 35th anniversary of one the most iconic cars to race at Le Mans are just 2 reasons to stop by on March 10th. We'll give you an overview of what to expect at Amelia Island next month, starting with some of the classes dedicated to motorsport. The Amelia Island Concours d'Elegance is now in its third decade and has become one of the best and most accessible concours over the world. Every year chairman Bill Warner and his team draws more than 300 race vehicles from collections all over the world to The Golf Club of Amelia Island, The Ritz-Carlton, Amelia Island for a celebration of the automobile like no other. First and foremost there this year’s Honoree: Monsieur Le Mans, Jacky Ickx. The now 74 year old Belgian Grand Prix, Sportscar and Rally-raid driver needs no real further introduction. "There is something heroic about Jacky Ickx," said Bill Warner, founder and Chairman of the Amelia Island Concours d'Elegance. "When things are at their worst Ickx is at his best. Grace under pressure doesn't begin to describe him. He's a racer whose abilities, reputation and record stand with the greatest of all time." "It is an honor to have 'Mr. Le Mans' as our 2019 honoree," said Warner, "Especially on the 50th anniversary of the first of his six Le Mans victories." The centerpiece of Ickx's racing career is six victories in the 24 Hours of Le Mans. Yet that's just the headline. His versatility is legendary. Ickx is the 1967 European Formula 2 Champion and owns eight World Championship F1 victories (and three non-championship wins) plus second place in the 1969 and 1970 F1 World Championships. Ickx scored 37 individual race victories in the World Sports Car Championship and back-to-back World Sports Car Championships in 1982 and 1983. In America he won the 1979 Can-Am Championship, the 1969 Sebring 12 Hours with Jackie Oliver and the 1972 Daytona "24" with Mario Andretti. The versatile Ickx also logged victory in the 1977 Bathurst 1000 and the 1966 24 Hours of Spa, a class win and second overall in the Nurburgring's grinding 84-hour Marathon de la Route plus his legendary victory in the brutal 10,000-kilometer 1983 Paris-Dakar Rally -- "the war without bullets" -- for Mercedes-Benz. Jacky Ickx isn’t the only “Belgian connection” at Amelia this year since the record breaking Jaguar XK120 will also be honoured in March. Exactly 70 years ago, on May 30 1949, Jaguar set a speed record on a Belgian highway, between Ostend and Jabbeke. A standard XK120 broke all local records with a speed over the 2 way mile of 126.448 mph (with screen and top erect), and an even more impressive 133.283 mph (with screen and top removed). The XK120 became the fastest production car of the world, with a price tag of £ 1,000. 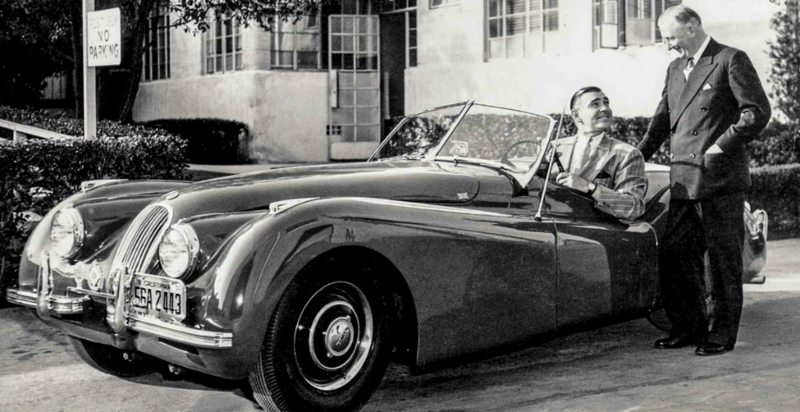 Clark Gable got the first one to arrive in the States and had his second one customised by George Barris. Its’s this car that will be the “Hollywood star” of the XK120 class which will commemorate the 70th anniversary of the X120’s coronation as the record setting “fastest production car in the world”. The Porsche 962 celebrates its 35th anniversary this year, so it’s no surprise that one of the greatest and most accomplished sports racing cars of all time will be celebrated at the Amelia Concours. In American IMSA competition alone the Porsche 962 won 54 races (15 of 16 in 1985) and both the Drivers’ and Manufacturers’ Championships in 1985, ’86, ’87 and ’88. 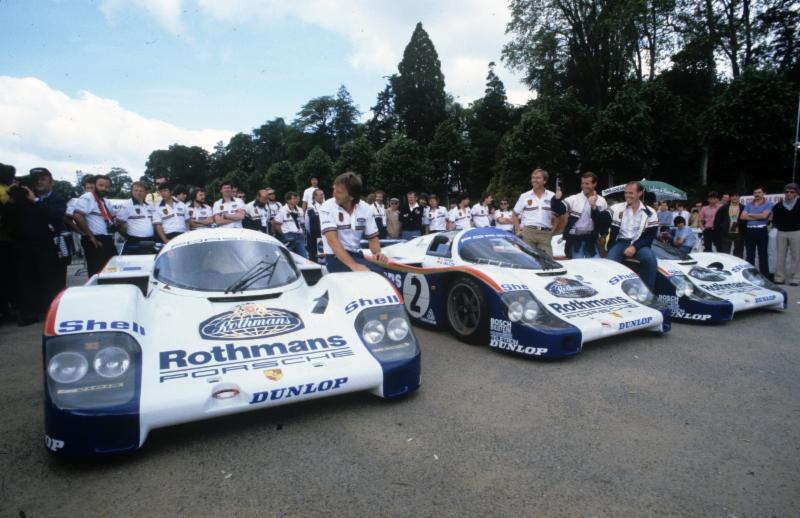 Ten years after its American debut a GT version of the 962 won the 24 Hours of Le Mans; the third Le Mans victory for the 962 and the 13th for Porsche. The user friendly 962 enjoyed an unusually long competition life playing the role of “the car of the stars.” It was raced by many marquee names from diverse motorsport disciplines. Besides the Andrettis, father and son Indy 500 winners Al Unser Senior and Junior both raced the 962 with conspicuous success. “Big Al”, “The Amelia’s” 2017 honoree, won the Rolex 24 at Daytona in Preston Henn’s 962. 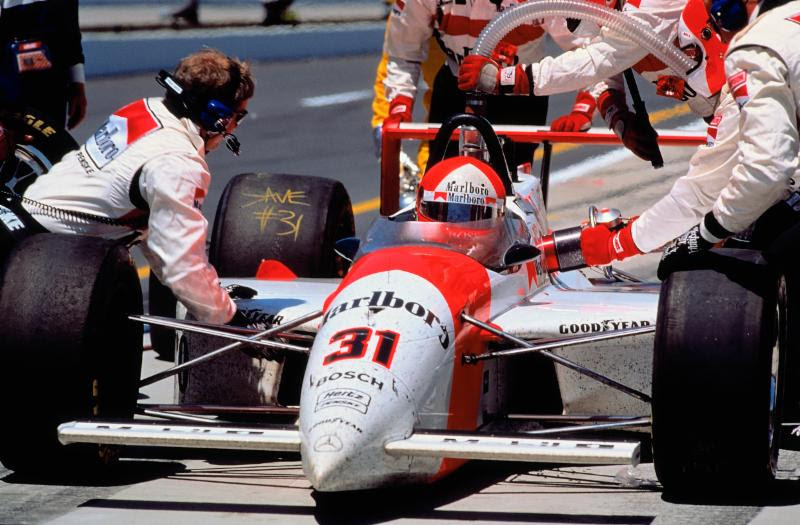 AJ Foyt shared that Daytona victory in 1985 and scored the final professional victory of his illustrious career at Sebring that year in the same 962. Al Unser Junior notched back-to-back Rolex 24 wins with Holbert Racing’s 962 in 1986 and ‘87. Three-time CART Champion and Indy 500 winner Bobby Rahal -- “The Amelia’s” 2011 Honoree -- logged three IMSA victories with the 962 during 1987. By its fifth season the 962 set one of the most extraordinary records in motorsport. With victory in the Rolex 24 at Daytona in 1986 and ’87 plus Le Mans wins in 1986 and ‘87, Derek Bell, Al Holbert and the 962 were undefeated in 96 hours of the world’s most prestigious endurance races covering a marathon 11,280.542 miles; an unmatched record and a tribute to the design, strength, reliability, durability and pace of the 962. In 1991 Hurley Haywood, “The Amelia’s” 1998 Honoree, scored his record-setting fifth Rolex 24 at Daytona victory in Reinhold Joest’s 962 seven years after the model’s debut! From its first IMSA GTP checkered flag at Mid-Ohio in 1984 through its final win in Belgium in 1999, Porsche’s 962 logged 142 victories and won 35 international championships. More motorsport in the spotlights at the Concours this year with the 110th anniversary of the Indianapolis Motor Speedway. The brilliant and radical ideas and the ground breaking cars that helped revolutionize America’s great race will be highlighted. From its earliest days the “500” was the cradle of innovation and the nursery of famous, sometimes obscure and occasionally infamous cars that drove the Indy 500 to become not just “the greatest spectacle in racing” but the most important auto race in the world. 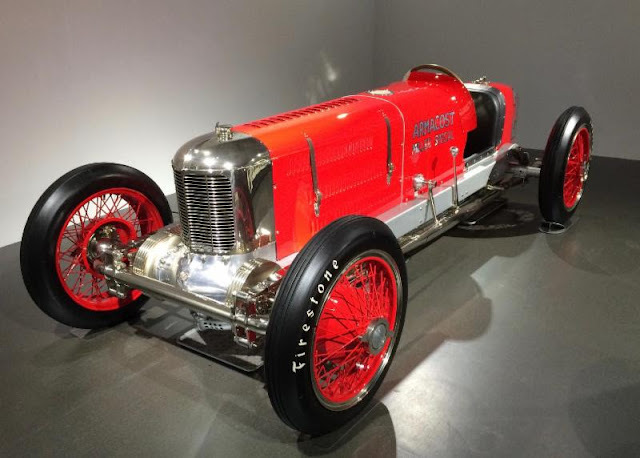 The brilliant DOHC four valve Peugeot begat the exquisite Millers and the mighty Offenhauser that reigned at Indy from 1935 finally surrendering its crown after its 28th “500” victory in 1976. Across three decades -- 1931 through 1952 -- Diesel power, as epitomized by the 1934 Cummins 2-stroke Diesel defied and defeated not only Indy convention but draconian fuel consumption rules in 1934. Cummins Diesel power went on to claim Indy’s coveted pole position in 1952. By then the “500” had changed speed, shape and style through the Miller front wheel drive era of the 1920s through 1949, the birth of the Roadster in 1952, the rear engine invasion of the 1960s with the introduction of Formula 1 technology and the arrival of Formula 1 World Champions Cooper and Lotus. Ground effects arrived at Indy from Formula 1 in 1979 and, as in 1961, everything changed with speeds climbing steeply. Some innovations came too far too fast turning Indy’s engineering and design orthodoxy inside out. Turbine engines twice came close to Indy’s victory lane, none with more engineering flair than the Lotus four-wheel-drive Type 56 that, in 1968, retired from the lead less than 23 miles from the richest payday in motorsport. A year after Jim Hall’s Chaparral 2K became the first Indy 500 ground effects winner Dan Gurney’s radical stock-block Chevy V-8 Eagle BLAT -- Boundary Layer Adhesion Technology -- blew established ground effects doctrine apart, started from the front row of the “500” with a stock-block Chevy V-8 engine and a week later won the Milwaukee 150-miler from that last row. It was promptly legislated out of existence. Al Unser, Jr drives the Penske-Mercedes PC 23 to victory at Indy in 1994. Photo courtesy of Daimler/Mercedes-Benz.